Mandrake the Magician's Turkish debut came in 1935, less than a year after the strip's debut in the US. 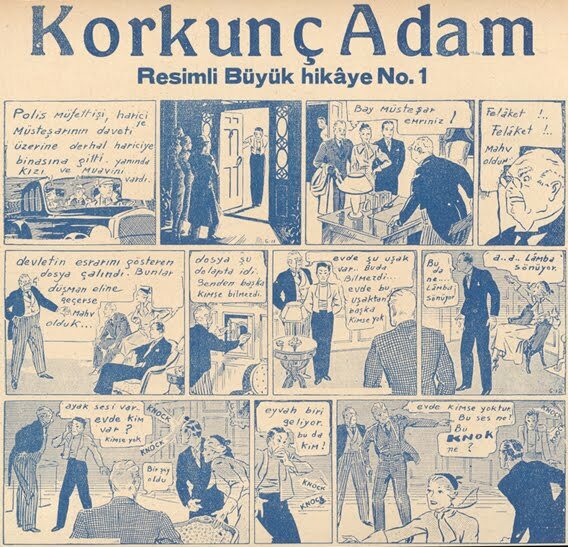 A weekly actuality magazine titled Büyük Gazete began to serialize Mandrake in its back covers beginning with its no. 30 on 13.5.1935. 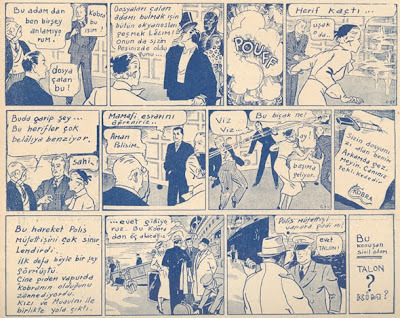 This makes Mandrake's Turkish debut one of the earliest known appearance of this hero outside newspapers anywhere in the world. 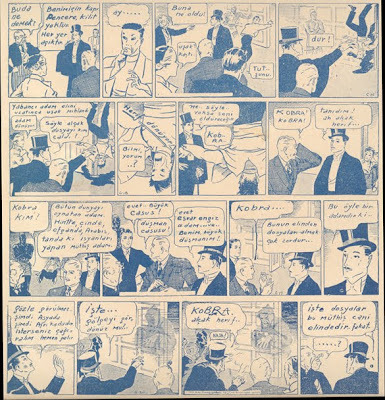 Below are scans of the beginning of Mandrake's first-ever adventure from its Turkish edition in Büyük Gazete, featuring the first-ever appearances of not only Mandrake and Lothar, but also of their arch-nemesis Cobra. Note that the last two rows (dailies) feature the signature of artist Phil Davis; it has widely been reported that creator-writer Lee Falk was largely responsible for drawing the first few dailies before Davis took over drawing. Thanks to you. Wonderful blog, very interesting, with a lot of never seen before material.